Jack Suddeath departed this life in the early morning hours of February 11, 2019. His parents, Thomas K. and Daisy Wester Suddeath, three siblings, and a son, preceded him in death. Jack grew up in Dayton, TN and attended school for a while there. He later enrolled in and graduated from Camden Academy Boarding School in Camden, AL. He attended Tuskegee Institute (now University) where he received a Bachelor of Science Degree in Guidance and Counseling. Upon graduating from college, Jack moved to Chattanooga. He worked as an inhalation therapy assistant at Memorial Hospital. 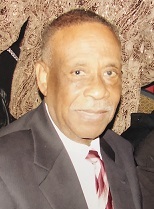 Jack met and married the former Doris Marie Starks and soon moved to Nashville, where he secured a position as a dormitory director at Tennessee State University, and worked there for twenty-two years. He also worked in research as a veterinary assistant at Vanderbilt University. While in Nashville, Jack was a member of St. Vincent Catholic Church. Due to illness of his mother-in-law, Jack’s family relocated to Chattanooga in 1988. A couple of years later, Jack retired from his position at TSU and joined his family. He became employed as a psych tech at Parkridge Valley Health Systems and retired from there. Jack united with and was a faithful member of Prospect Missionary Baptist Church. Jack held the position of vice chairman of the Board of Deacons; was a regular member of the Sunday school; and a member of the Adult choir, often leading many songs. Jack was a volunteer at the Juvenile court and was the owner and operator of Ebony Cleaners for ten years. Jack will be lovingly remembered by his devoted wife of fifty-two years, Doris; attentive son, Sean (Celeste) Suddeath; daughter, Jacqueline Suddeath; two sisters-in-law; three brothers-in-law; very special friend, Evander Lloyd; a host of nieces, nephews, cousins, and friends. The body will lie in state from 10–11 a.m. on Saturday, Feb. 16, immediately followed by a 11 a.m. funeral service at Prospect Baptist Church. Interment will be in Highland Memorial Gardens.